Last night Joshua and I came home from Anaheim where we spent the last few days for a mini vacation. We spent our anniversary weekend at the happiest place on earth along with my father in-law and stepmother in-law; they were there for their anniversary as well. Thursday morning we left the house around 4am and arrived at the Embassy Suites Hotels, just a mile away from Disneyland. We spent the afternoon relaxing at the the hotel and then headed to Downtown Disney later in the evening. 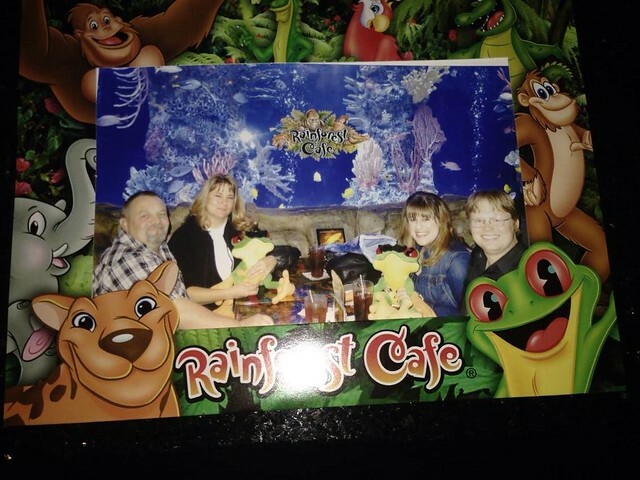 We had dinner at the Rainforest Cafe, and then we went to see Thor: The Dark World at the AMC movie theatre. The movie was amazing and definitely better than the first one (sorry Kenneth, you make a better actor than director). 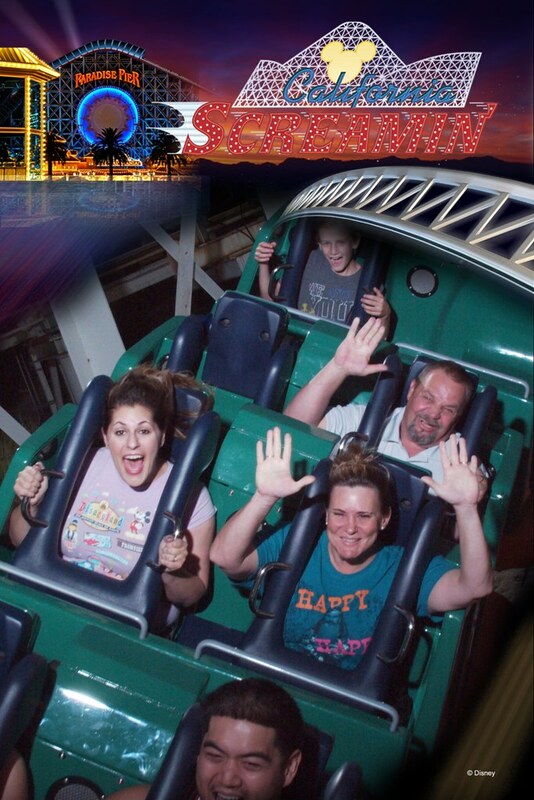 The next day we spent first in Disney’s California Adventure and then the other half at Disneyland Resort. Joshua and I (and the in-laws) got ‘Happy Anniversary’ pins which we wore proudly the entire time; people were super sweet and wished us a happy anniversary whenever they could. 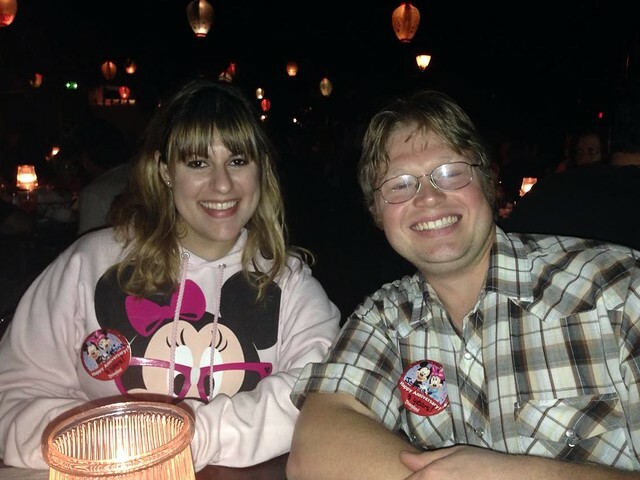 We had dinner at the Blue Bayou restaurant inside the Pirates of Caribbean ride, the very same place where Joshua proposed to me! It was cool to be back there again and share it with my in-laws (thanks Dad for getting us a spot by the water!). The next day we were back at it again! 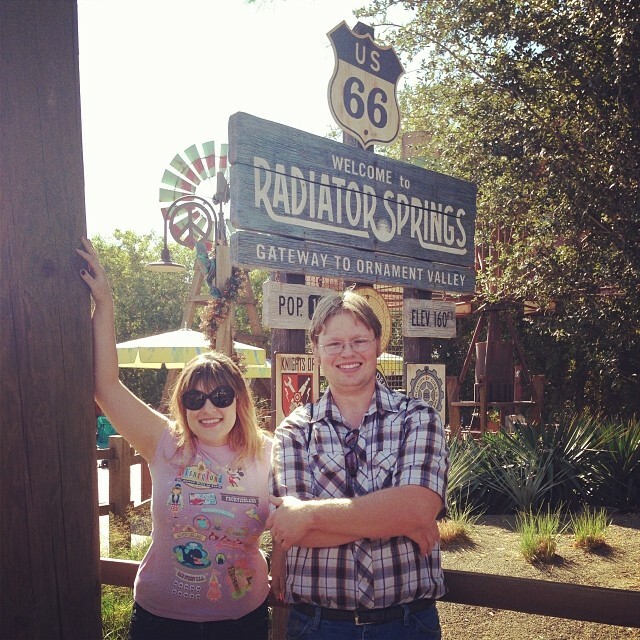 First stop was the Radiator Springs Racers (awesome ride) followed by another go on California Screamin! 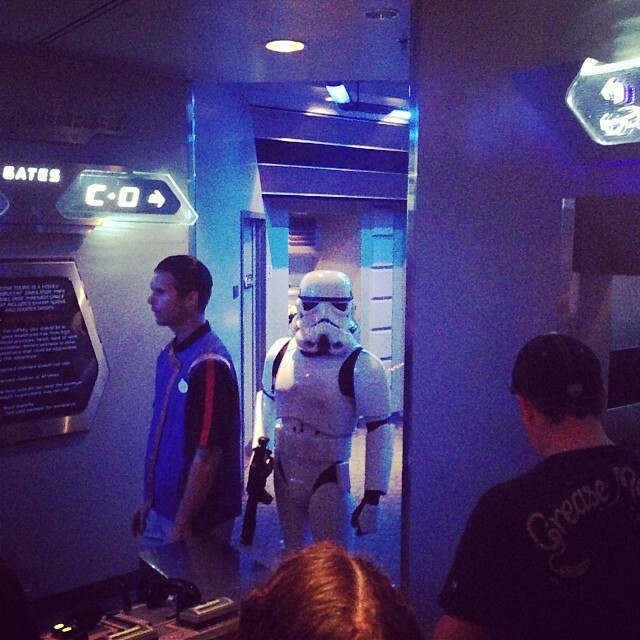 Then it was back to Disneyland for Star Tours where a stormtrooper acted as the TSA on the way to Hoth and Naboo. 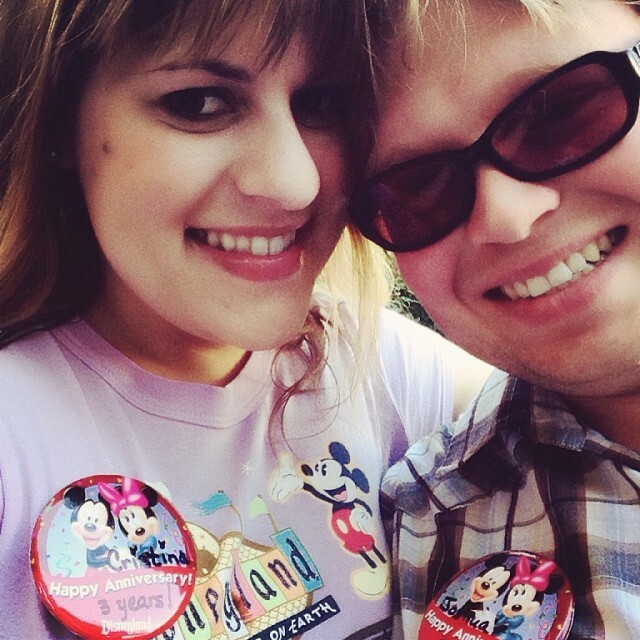 We hit up a few other attractions which included my very first ride on Splash Mountain. Later in the day we went back to the hotel for a nap and then came back to the park to do some shopping and watch Fantasmic! We got a late start yesterday thanks to someone triggering the fire alarm in our hotel super early in the morning followed by us falling back asleep and sleeping in. We arrived home around 6:40pm just in time to watch some TV with family. Overall we had a wonderful time. Tiring, but fun nonetheless! Looking forward to the next trip! Wow! That was a quick trip, eh?! I am glad to hear that you had fun. It’s always tiring when you go to anything Disney because it is always go go go. 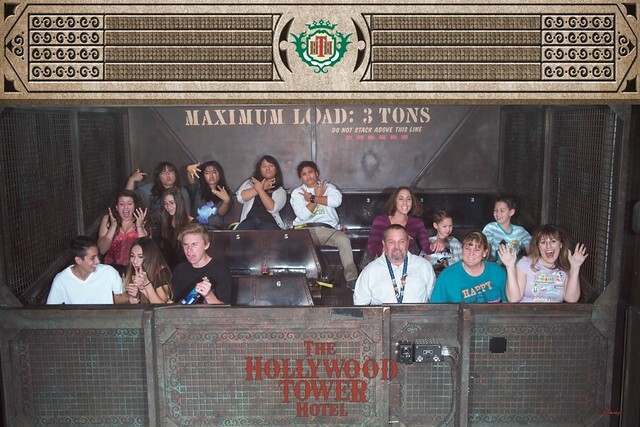 I miss Disneyland so much. I haven’t been since 2007, but I have been to Disney World 3 times since then. I really need to head back to California. I love that you can hop between each park so easily. In Disney World the parks are just too big and much too far apart. I love that you got a table by the water in the BB! Did you wave at the people floating by in the POTC ride? The monte cristo is so delicious at that restaurant!! I have to say that I am absolutely floored that you have been on all the scary rides in Cali Adventure (in my opinion scary! ), but you had never been on splash mountain!! It is a Disney classic. I love it so much 😀 What about Indiana Jones too?! And Big Thunder mountain railroad?! Ah. My favourites. Last time I was in Disneyland they didn’t have the Cars land built. 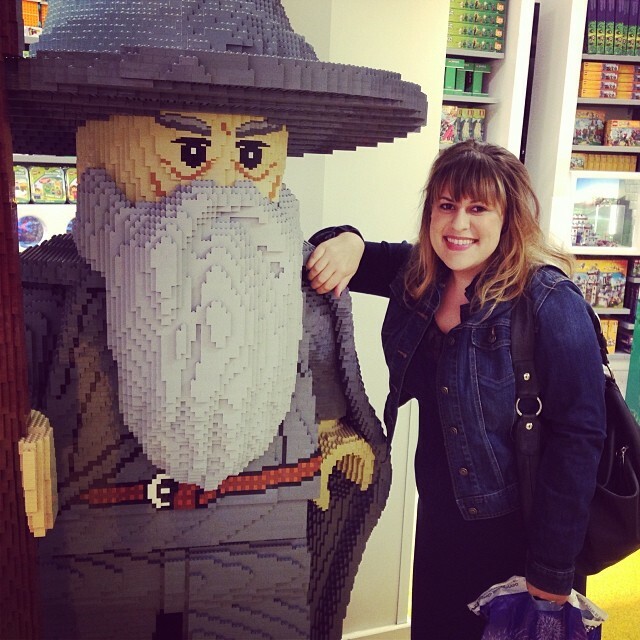 So I really look forward to seeing that next time I visit. I also have never been on the Finding Nemo submarine ride, which I think will be very cool. Oh and I can’t help but notice the absence of Joshua in the photos. 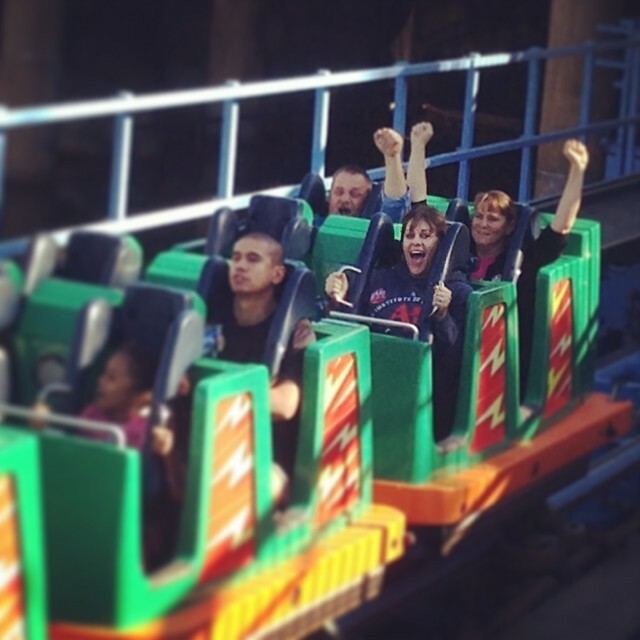 Does he love those scary rides as much as I do?! And when I say love, I really mean hate hahaha. *sigh* I better go plan my next vacation to Disneyland.